There is so much amazing music being created in our own backyards. CHSR wants to help highlight some of the albums/EPs being submitted to their Music Department! Erin Bond, aka Bondo, current CHSR Station Manager, has been a musicoiphile her entire life. She was introduced to CHSR back in 2011 when a friend mentioned a place where you could volunteer to listen to music, it sounded too good to be true. After her initial visit Bondo became a devoted music reviewer, listening to on average about 25 new albums per week, and hasn’t left CHSR’s music library since. 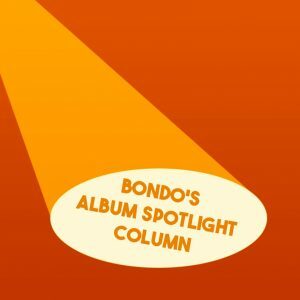 To take over from What Is CHSR Listening To, Bondo has created a weekly on-air music column showcasing a new Canadian release that will air Mondays at noon on The Lunchbox. Join Bondo and Mark the Encaffeinated ONE each week and potentially discover your new favourite band.